Ideally a daily 10 minute meeting (Even once/twice a week can work too). A scrum board (Electronic/designated whiteboard). Scrum Stories (Homework/Coursework/dental/medical appointments/Parental meeting). Recommended: A diary/planner which serves as a data provider for non-enthused students. In industry scrum (standup’s) occur each and every day, naturally, in education other time constraints and registration requirements may take priority over having a daily standup. This is fine and i have seen scrum work effectively when used just once a week as long as the stories are created and updated accordingly. Students should all stand up and located themselves near to the scrum board in advance of providing updates to the scrum master for their stories. The scrummaster chairs the entire meeting and is the only person permitted to talk, unless a response is invited from a student for updating a story. Initially the teacher should assume the role of scrummaster and once you have scrum practice embedded then the role of scrum master should be rotated around the class, or used as a reward mechanism. Stories can be used for absolutely anything, it does not always have to contain stories which are related to academic work and a stories details are usually recorded on a post it note. Stories can serve as reminders to bring money in for a school trip, a dentist appointment etc. However, the primary focus of the board is for ensuring that all your students are organised, on track for delivering home/coursework on time, every time. You can also use different coloured post-it notes for different categories of stories. Feel free to invite anyone else. You will need to get your students to initially create one story. In industry, stories are usually generated by a business analyst or a project manager who oversee the client or project needs. It is very different in school, as you are essentially requiring your students to give you visibility over their work requirements. Whilst some students understand and buy into this, there will always be students who are not keen on giving you awareness of their coursework and homework expectations for obvious reasons. This is when you need the helping hand of a data provider. Usually this is a school planner, however, for this to work well you need to have consistent use of planners across the school for the setting of work. If a student lacks the motivation to participate, or responds that they have no homework, then a quick double-check of the planner will inform the outcome and creation of stories. As a side note, try getting those who are disinterested the role of scrum master to get buy in once you are up and running. Scenario 1: Student A responds that for example, the homework has been started. Therefore the scrum master then moves the story to the doing section and moves onto the next story. Scenario 2: Student A, responds that they are unable to start the homework as they do not have a worksheet. This is known as a blockage. Therefore the scrum master/teacher makes a note of this for the student to go and get a worksheet. Alternatively, another student may advise that a worksheet can be obtained from a specific location, such as Google Classroom etc, cross-collaboration. The aim here, is to identify problems and resolve them with minimal disruption. Instead of a student ignoring the problem in the hope that it will go away. You will proceed to get an update for each and every story. This process can last a few minutes, but should never exceed ten. 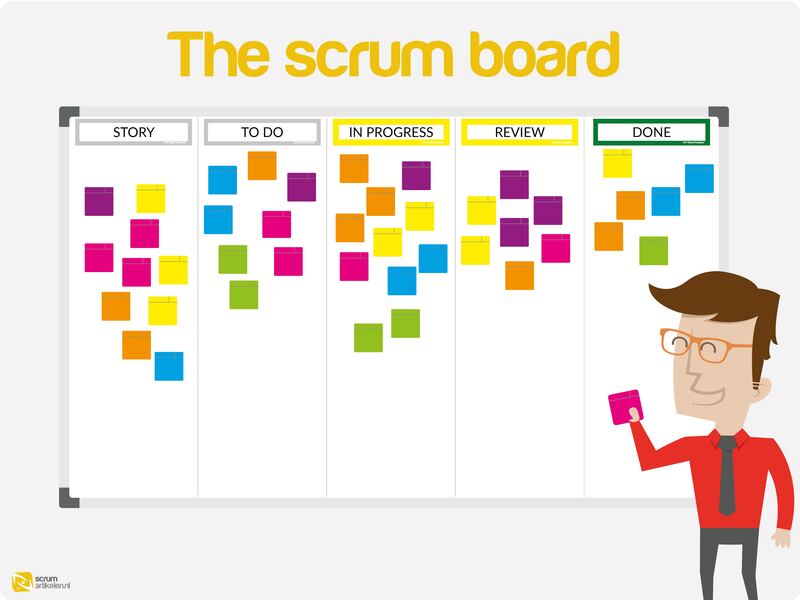 At the end of the session, provide an opportunity for students to add new stories to the scrum board. For large courseworks, students should break down large projects into small stories to serve as small milestones. You can shape scrum to work for you, like i said earlier, nothing is set in stone and everyone’s classroom is different. Feel free to contact me, if you need clarification of any of the areas. Equally do get in touch if you want to share your success stories.